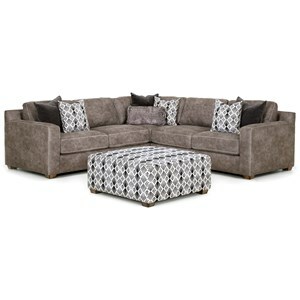 This sectional sofa will easily seat five or more people in your family gathering space. 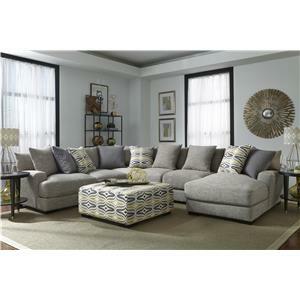 It features neutral color tones with decorative toss pillows. 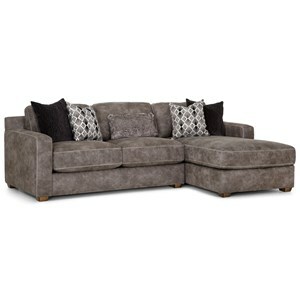 The seat cushions and back cushions are reversible helping to extend the life of the piece. The chaise provides a spot especially great for lounging on rainy days. 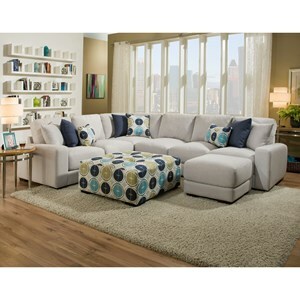 The Jameson Contemporary Five Piece Sectional with Chaise by Franklin at Furniture and ApplianceMart in the Stevens Point, Rhinelander, Wausau, Green Bay, Wisconsin Rapids, Marshfield, East and West Madison, Wisconsin area. Product availability may vary. Contact us for the most current availability on this product. 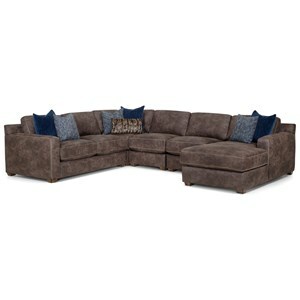 80804 Seating Wedge 1 58" 58" 37"
80503 Armless Chair 2 31" 42" 37"